Drew Ambrose is a senior producer and foreign correspondent for Al Jazeera English in Malaysia. Before that he worked across Australia on current affairs programs such as Insight, Australian Story and Living Black. At 21 years old, he was posted to ABC’s Jakarta Bureau as a video-journalist for the Australia Network. Since then Drew has reported from over 35 nations. He has also been lead journalist on many interactive, VR and online projects.His work has won a number of accolades including the Walkley Award, New York Festival Gold Medal, Melbourne Press Club Quill and United Nations Media Peace Awards. Felicity Anderson was a journalist for 28 years before setting up Trio Communications, a PR agency that uses a contractor business model and doesn’t do “fluffy stuff”. Between 1990 and 1995 Felicity was programme leader and senior lecturer in journalism at AUT. Her last journalism posts were as chief reporter of The National Business Review and business editor of TVNZ’s nzoom.com, then NZ’s leading online business news source. Felicity has been self-employed - as a freelance/contractor, owning a sports import and retail business and now Trio Communications - for 24 years. Monica Attard has been a journalist for more than 30 years, working much of that time at the ABC where she was a foreign correspondent, reporter and programme host. Monica has hosted most of the ABC’s prime time current affairs programs, including PM, The World Today and Media Watch. She is the recipient of five Walkley Awards for excellence in journalism, an Order of Australia, and an Arts/Law degree. Monica is also the author of a best-selling book on the collapse of Soviet communism, called Russia: Which Way Paradise? Monica is now Head of Journalism at UTS in Sydney. John has been Managing Director at Lassoo Media & PR since 2017 and has over 25 years’ experience in publishing, most recently as CEO and Publisher of specialist magazine media business, Tangible Media. He is a passionate believer that the more technology evolves and channels develop to deliver journalism and advertising, the ability to captivate an audience has never been more critical. Captivation is created as a result of a relentlessness commitment to engagement, originality, relevance and context. Joseph Barratt, a former award-winning journalist for the Herald On Sunday and The Aucklander, is now a leader in the content and media space in Southeast Asia. He is founder and oversees two very different businesses both with content at their heart - Mutant Communications and Trouble Brewing - with more than 35 staff across Singapore, Malaysia, Indonesia and the Philippines. He is driven by a desire to produce quality content and strategic content marketing for brands including BBC, Facebook, LinkedIn, PayPal and more. In 2017 he was named one of Campaign Asia's Top 40 Under 40, declaring him one of the most influential media and content leaders in Asia. Victoria Birkinshaw's photos seek to capture worlds behind New Zealand's authors, artists and thinkers for books, magazines and other publications. Social documentary projects for publication and exhibition are also a major part of her work. Her career has seen her work both in New Zealand and the UK for a number of years, with work held in major archives in both countries. Joanne is an award-winning columnist for the New Zealand Listener. She covered politics for NZPA before the Internet was a thing, was chief reporter of The Evening Post, assistant editor of The Dominion Post and features editor of the Listener. She accidentally had a short stint at TVNZ and was frequently on The Panel on Radio New Zealand’s Afternoons with Jim Mora. She currently lives in Washington DC. Mike Bowers is a photographer, a regular commentator on ABC Radio and host of Talking Pictures on Insiders which airs on Australian ABC 1 and ABC News 24. Mike spent 25 years in the Federal Parliamentary Press Gallery working for a number of publications including The Australian, The Canberra Times, The Age, The Bulletin, The Australian Financial Review, BRW, Time, The Daily Telegraph and The Sydney Morning Herald. He covered nine Federal election campaigns and has accompanied six prime ministers on assignments both around Australia and overseas. He has covered conflicts in Cambodia, Kosovo, Bougainville, PNG and the Middle East. Mike was Pictorial Editor for the Sydney Morning Herald from 2001-2008. He was Chief Photographer for the Sydney Morning Herald before striking out on his own in late 2008. He took up a role with philanthropically funded online news venture The Global Mail in 2011 as photographic editor and photographer before moving to The Guardian Australia as photographer at large when they established a presence in Australia in 2013. He lectured in photojournalism for four semesters at UTS during 2010-2011. Mike has published four books, Gallipoli Untold Stories, The Big Picture 175 Years of The Sydney Morning Herald and A Century of Pictures, 100 years of Herald photography. His fourth book, Armageddon-Two men on an ANZAC trail was a joint venture with journalist Paul Daley. Nick Brown worked for NZPA, the former national news agency, for 27 years in various roles including correspondent in Sydney and London, news editor and editor. He moved back across the Tasman in 2010 to work for AAP, Australia's national news agency, where he is now editor of the agency's court reporting service. Melanie Burford is a filmmaker, producer and photographer with her production company Silvereye Pictures based in Bergen, Norway. Her career began at The Ashburton Guardian then The Evening Post before moving to America in 1999 and becoming a staff photographer and video journalist at The Dallas Morning News. She was part of the team of Dallas Morning News photographers who received the 2006 Pulitzer Prize for coverage of Hurricane Katrina. In 2009 Melanie moved to New York becoming Series Producer at Blue Chalk Media and a founding member of the photo collective Prime before moving to Norway in 2015. In 2017, Melanie founded The Silvereye Project, an educational program working with migrant youth celebrating home and identity. She has been Coordinator and Editor for five National Geographic Photo Camps in Norway and India. Her teaching career includes Adjunct Assistant Professor at Columbia University Graduate School of Journalism. Scott is the Chief Executive and Director of Campbell Squared Communications, an award-winning Tauranga-based consultancy he runs with his wife Angela. A skilled strategist and former broadcaster, Scott specialises in political, media, investor and iwi relations. He is sought after for his media training and expert advice on reputation, risk and issues management. Irene Chapple is a senior media and communications professional. She spent eight years as a digital journalist and editor in the United Kingdom, nearly five of which were at CNN International. She took up the digital editorship of the New Zealand Herald on her return in 2015, helping drive editorial direction and develop strategy focused on its evolution into a digital-first newsroom. In 2017 Irene joined award-winning communications consultancy SenateSHJ as an associate partner, specialising in digital strategy. She also develops crisis and financial communication strategies. Donna Chisholm is editor-at-large of North & South magazine and a senior writer for the NZ Listener. She began her career at the Auckland Star in the 1970s and became the paper’s first female chief reporter before moving to the Sunday Star and Sunday Star-Times, where she was deputy editor. In 2009, she joined Metro magazine and North & South. She has been named the Qantas/Canon (newspaper/magazine) Feature Writer of the Year three times, was awarded the inaugural nib health journalism scholarship (senior) in 2016 and received the NPA’s outstanding achievement award for contribution to journalism in 2017. Deborah Coddington has worked as a journalist, broadcaster, and writer since 1972 with many media organisations - Metro, North & South, Herald on Sunday, Sunday StarTimes, BBC World Service, Radio Live, and NewstalkZB - winning numerous awards for features on education, crime, child abuse, and finance, including the Qantas Feature Writer of the Year, and the Wolfson Press Fellowship to Cambridge University. From 2002-2005 she was an MP for the Act Party. In February Deborah’s book, The New Zealand Horse, published by Massey University Press, with photographs by Jane Ussher, was longlisted for the Ockham Awards. Glenn Conway spent nearly 25 years in journalism, starting his career in his hometown of Gore. He was the Otago Daily Times bureau chief for South Otago and Southland for eight years before moving to The Press. After initially reporting on the Christchurch City Council, he was appointed Chief Reporter soon after the February 2011 earthquakes and led the newsroom for more than two years. Since May 2014, he has been managing the Communications and Stakeholder teams in Auckland and across the South Island for Housing New Zealand. Paul Cutler has worked in the news media for more than 45 years, across five continents. He is currently an international Media Consultant, having established his own consultancy - Cutler Communications Ltd - in 2014. Since then he has completed assignments in Beijing, Shenzhen, Washington DC, Jakarta and Auckland. Prior to this, Paul was Director of News & Current Affairs for SBS Television, Radio & Online, based in Sydney. He had previously been Managing Editor of CNN Asia Pacific in Hong Kong and during his time at CNN he played a leading role in the coverage of the 9/11 attack in 2001 and the 2004 Tsunami in Asia/pacific. For some years he was Managing Editor at TVNZ where he also served as the inaugural Executive Producer of the Holmes programme. During his career Paul also worked for Reuters in Fleet Street and at BBC Headquarters in London. He has covered five Olympic and three Commonwealth Games, both as a print and television journalist. In 2012 he was a judge of the International Emmy Awards in New York. Bruce Davidson has been the CEO of Australian Associated Press (AAP) since 2010. He began his career as a cadet journalist in regional Victoria, before moving to community newspapers in Melbourne and a stint in the UK. Bruce joined The Herald and Weekly Times in Melbourne in 1980, He moved to the Sun News-Pictorial in 1985, working in various several senior editorial roles. He was also the founding deputy editor of the Sunday Sun, now the Sunday Herald Sun. In 1991 Bruce formed Pagemasters, a design and editing services company. In 2002, Pagemasters was acquired by AAP, and Bruce stayed on as managing director until his appointment as AAP’s CEO. New Zealand Wikipedian-at-large Dr Mike Dickison did his PhD research at Duke University on the evolution of body size in giant flightless birds. He was Curator of Natural History at Whanganui Regional Museum, and taught graphic design and typography at Whitireia Polytechnic. As editor of Giantflightlessbirds he coordinates the Wikipedia support for the Critter of the Week project with DOC and Radio NZ. He also wrote and illustrated a book on how to play the ukulele. Greg Dixon was supposed to be an accountant. Instead he entered journalism in 1992 and has been fighting a sense of regret ever since. He has worked for the New Zealand Herald, where he was deputy editor of Canvas for seven years, and North & South and Metro magazines. He has won awards for his writing and editing, but would have much preferred pay rises. He has since fallen into happy semi-retirement in Wairarapa, where he co-writes a column on country life for the New Zealand Listener and mows his lawns. Michael Donaldson is a journalist with 30 years' experience and currently works as a freelance writer and editor. He is a former deputy editor and sports editor at the Sunday Star-Times and prior to that worked for Australian Associated Press, New Zealand Press Association and The Press. The author of six books, he is also a beer judge and critic. Kerryanne Evans has more than 35 years’ experience working as a radio and television news and current affairs journalist. She started her career at Radio New Zealand before working on secondment to Radio Deutsche Welle, one of Germany’s most respected international broadcasters. Kerryanne’s television career began on TVNZ’s Network News and Eye Witness News programmes. In 1989, she became one of the founding journalists to work on the Paul Holmes programme. Kerryanne also worked on TVNZ’s flagship current affairs programme Assignment. For the past 12 years, she has worked as a Director for the highly successful Country Calendar programme. Michael Field of Auckland has been an AFP foreign correspondent for decades, mostly covering the South Pacific. Recently he has been a contributing reporter to the new WikiTribune which recently published his extensive investigation into the deaths of fishing observers on foreign boats. As a published author he was written a key historical work on Samoa’s independence movement, another on Fiji’s 2000 coup and a collection of Pacific reporting tales. His most recent book, The Catch, followed on his award nominated journalism on the use of slave crews in the New Zealand fishing industry. Mike Fletcher worked in journalism – mainly newspapers- for 53 years. Mike began his career with New Zealand News. He worked in New Zealand and Australia as a reporter, sub-editor, chief reporter (daily and Sunday newspaper), community newspaper editor and metropolitan daily newspaper editor. In 1990 Mike was appointed editor of the metropolitan daily the Christchurch Star. Later he switched to senior business management with Wilson & Horton (later APN), responsible for business units in Christchurch, Oamaru and Wellington. He retired in 2007 as a Rotorua-based regional manager for APN. In October 2007 he was appointed executive director of the New Zealand Journalists Training Organisation. He set up the industry’s first workplace training scheme for journalists employed in newspapers, radio and television. Mike retired in May 2014, to settle at Opotiki. He is a life member of the New Zealand Community Newspapers Association and a former president. Melissa Gardi’s passion for storytelling was built on a firm foundation in marketing and art-based roles and progressed to a media career spanning 20 years, earning her recognition from both the American Association of Magazine Media and the New Zealand Magazine Publishers Association (awarded Best Editor twice). As Editorial Director / Publisher of lifestyle titles including Good, Dish and New Zealand Weddings she’s led teams of specialists across print, experiential and digital media to create award-winning editorial and commercial content. In Melissa's current consultancy role she helps others with her diverse expertise and well-trained eye to create compelling stories and campaigns that engage and inspire audiences. Richard Harman has been a reporter on The Sunday News, Waikato Times and The Dominion but has spent most of his 40-year media career in television – as a reporter (mostly in the Press Gallery) and producer on news and current affairs programmes at TVNZ and then for his own company, Front Page. He has also directed documentaries and these days runs a political news website, POLITIK and produces a daily political newsletter. Isabella Harrex is an Editorial, Marketing and Lifestyle Photographer, based in Dunedin, New Zealand. With a love of making people laugh, Isabella creates images that tell stories. Her editorial and food imagery is regularly featured in Cuisine, North & South, Nadia, and Kia Ora magazines, and her signature 'happy people doing happy things' style keeps her busy shooting fresh and modern marketing imagery for clients around New Zealand, including as principal photographer for Otago University. In her downtime, Isabella can be found exploring Dunedin with her two young children, Daisy and Raffy. 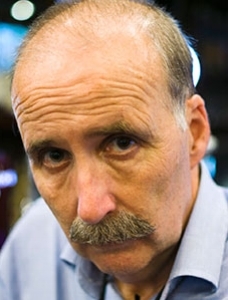 Wayne Hay is a senior correspondent with Al Jazeera English. From his base in Bangkok, Thailand, he travels extensively, mainly around Asia, reporting on breaking news, filing features and long-form interviews. He’s covered natural disasters, elections, political uprisings and civil wars in countries as diverse as North Korea, Egypt, Sri Lanka and Indonesia. Wayne began his television career in Auckland, with One News where he was a sports reporter and presenter before heading away to take up a position with Al Jazeera, based in Kuala Lumpur, Malaysia. Wayne has twice been a judge for the Emmy Awards for news and documentaries and is a regular contributor to Newstalk ZB and RNZ. Michele Hewitson has been a journalist for a very long time. She worked at the New Zealand Herald for 20-odd years (some of them very odd). She now lives on 12 acres outside Masterton where she pretends to be a sheep farmer. She writes a week-and-week about column for the Listener with her partner, Greg Dixon, about country life. She is an award-winning — six prizes at the 2018 Masterton A&P Show! — flower and vegetable grower. Deborah Hill Cone has a background a hundred years ago as an award-winning financial journalist and was named best columnist (humour and satire) in 2015 for her weekly column in the NZ Herald. She has written short stories and television drama and is currently studying psychotherapy. Andrew Holden was a journalist for more than 35 years in Australia, New Zealand and England. He was Editor of The Press for four and a half years (through the Christchurch earthquakes) and then Editor-in-Chief of The Age, Melbourne, for another four years. Both titles won Best Daily Newspaper at Panpa during his tenure. Since leaving journalism he has been the Head of Communications for Cricket Australia, and returned last year to New Zealand to become the Director Communications for New Zealand Trade & Enterprise. Andrew has been a judge for the Walkley Awards in Australia and the Ifra Asia Media Awards. 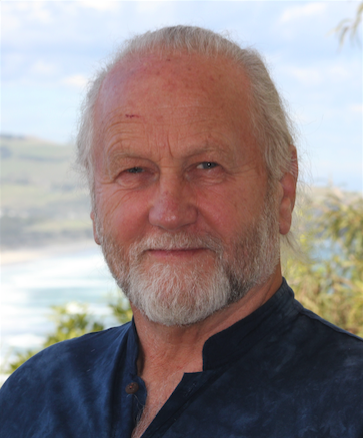 Dr James Hollings is Programme Leader, Journalism at Massey University. He worked as a reporter and subeditor for 18 years, mostly at The Evening Post and Radio New Zealand. He is the co-founder of the New Zealand Centre for Investigative Journalism. He is the editor of A Moral Truth: 150 Years of Investigative Journalism in New Zealand (2017). James was born in Wellington in 1963. Ali Ikram is a broadcaster, writer and communications professional based in Auckland. During a 20-year career on television, Ali’s reportage appeared on CTV, TVNZ and TV3 spanning news journalism, entertainment reporting and satire. He broke a number of stories on the Coral Burrows murder inquiry and covered the Asian Tsunami from Banda Aceh for One News. His columns on art have appeared in the Weekend Herald and his musings on life were syndicated by Fairfax papers and later published in Auckland University Press’s collection of non-fiction, Tell You What. Ali is a trustee of the Auckland Library Heritage Trust. Jim has been a journalist for more than 25 years working in print, TV and radio. He’s now freelancing and providing a bit of comms advice when he’s not a taxi to his two daughters. Bruce Mahalski is a former Wellington-based art teacher and illustrator who now works as an artist and museum owner in Dunedin. He is also one of the people behind the guerrilla poster group called Toothfish. In the 1980s he produced a semi-regular cartoon strip for Rip-It-Up magazine as well as producing others strips and illustrations for many other different media outlets. He has just completed a survey of New Zealand cartoonists who have produced work inspired by the New Zealand music scene for the Audioculture NZ music history website. After 36 years in the industry, Bruce Morris left daily journalism 15 years ago to operate as an editorial consultant in NZ and Australia - before establishing, as a volunteer, a hyperlocal news website in Auckland. He has worked in community papers and magazines and is a former chief reporter, sports editor, news editor and deputy editor of the NZ Herald, editor of the Bay of Plenty Times and editor-in-chief of the then-APN national network of regional daily and community papers. Lisa Morton has 15 years’ experience in magazine publishing, creating content for consumer publications and owned media. Recent roles have included editor of interiors magazine homestyle, associate publisher at Tangible Media (now ICG Media), and editor of the food title Dish, where she received numerous MPA Magazine Awards including Best Editor, Home and Food. Bernard Lagan, a former New Zealand journalist of the year, began his career on The Dominion and covered the last Muldoon government and the first Lange government from the press gallery before joining the The Sydney Morning Herald in 1987. Bernard covered New South Wales state politics before joining the Canberra press gallery. He later became national editor, then chief of staff on The Sydney Morning Herald. He later wrote for the newspaper from New York before returning to Sydney where he is the Australian correspondent for The Times (London). Lorelei has worked as a journalist in New Zealand and Britain for more than 30 years, in firstly newspaper, then radio and latterly television. She was One News’ Health Correspondent for 18 of her 24 years at the network. In that time Lorelei covered all manner of health issues, winning more than a dozen New Zealand and international awards for her health reporting, including twice being awarded the Qantas NZ Daily Television News Reporter of the Year in 2002 and 2005. She resigned from TVNZ last June to fulfil a long-held ambition - to establish her own specialist Health PR Consultancy, representing health institutions, NGOs and medical businesses and organisations across the country. Debra Millar began her career as a reporter on the NZ Herald in the 1980s before moving to Australia, where she worked at the Melbourne Herald. Returning to New Zealand in 1990, she spent 15 years in a range of senior roles on New Zealand magazines, rising to Group Publisher at ACP Magazines. In 2009 she made the move into book publishing, working first as Publishing Manager for Annabel Langbein Media. 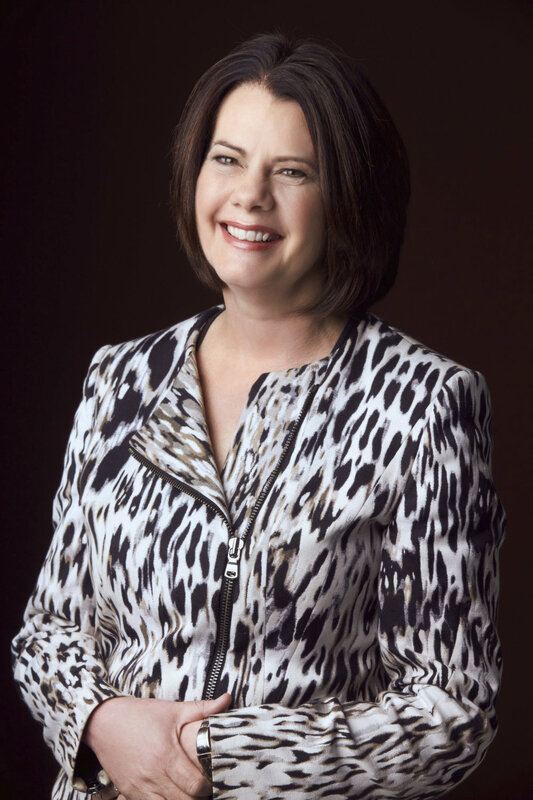 She joined Penguin New Zealand in late 2010 as General Manager of Publishing and with the merger of Penguin and Random House in 2015 was appointed Publishing Director for Penguin Random House New Zealand. In 2018 she started her own company, Point Publishing Ltd, specialising in the production of high-quality illustrated non-fiction books. Bill Moore completed the Wellington Polytechnic journalism course in 1972 and has been a print journalist, on and off, ever since. He was with the Hawke's Bay Herald-Tribune for three years before eight years overseas, joining the Nelson Mail in 1984. There he was a proof reader, reporter, chief reporter, deputy editor and editor, spending his last years at the Mail as the newsroom's senior writer. He left in 2016 and is currently editor of the Seafood New Zealand magazine. Jenny Nicholls is an Art Director, and a regular writer, reviewer and columnist for North & South magazine, and former Art Director of Metro magazine. Jenny's magazine cover designs for North & South and Metro have won industry awards nine times. She has won the Magazine Publisher Awards Designer of the Year award (Current Affairs) twice, and also the MPA Supreme Designer of the Year. Her covers can be found on the international cover design website Coverjunkie. Before training in graphic design, Jenny graduated from Wellington Polytechnic School of Journalism. This training in journalism, and her writing work for North & South, informs her graphic design work for New Zealand's leading monthly current affairs title. Cheryl is a Wellington journalist and communications specialist. Her work has been published in a wide range of newspapers and magazines including the Dominion Post, the science journal Nature Biotechnology and the Australian women’s magazine, ME. Cheryl lived in Eastern Europe for three years after the fall of the Berlin Wall, when she interviewed Czech President Vaclav Havel for the New Zealand Press Association, worked as an English language editor at the Hungarian News Agency (MTI) and put together a guidebook for expats living in Hungary. Recent gigs have included writing features for the motoring section of the Dominion Post and covering New Zealand affairs for the German Press Agency (DPA). Cheryl currently works as a communications adviser for the University of Otago, Wellington. Near the end of the typewriter era, Foster Niumata started his journalism career doing cops and councils at the Kawerau Gazette and Whakatane's Radio 1XX. At school he contributed to the Franklin County News. After graduating from the first journalism course at Waiariki, he grew up in the NZ Herald sports department. Sports took him all over the country, so he went and checked out the world. He's yet to come back. Still covering and editing sports, he's with The Associated Press in London. He doesn't miss typewriters. Antony Phillips is General Manager of Pagemasters, a division of Australian Associated Press and global leader in the provision of editorial production solutions to media and other sectors. He is a former editor of Hawke's Bay Today and held senior editorial management roles at the Herald on Sunday, Sunday Star Times and Sunday News. Owen's career in broadcasting and business journalism spans more than 40 years in New Zealand, Australia and the UK and includes roles as business editor at both 3 News and ONE News. Now a freelance writer and broadcaster, he is currently editor of the NBR Rich List and also New Zealand correspondent for the China Global Television Network (CGTN), the 24/7 English news channel of Chinese state broadcaster CCTV, for whom he recently covered the Christchurch terrorist attack. Lauren Quaintance has edited some of Australasia’s most high-profile magazines including Metro, Good Weekend, the(sydney)magazine and Sunday magazine. After joining North & South as a staff writer at the age of 23 she was named Qantas Senior Magazine Feature Writer of the Year two years in a row. She has a Masters of Journalism from Columbia University in New York and won a New York Foreign Press Association Award for a portfolio of work that included coverage of the September 11 attacks. Lauren held senior roles at Fairfax in Australia including Managing Editor of Magazines and General Manager of Travel and in 2013 she launched Storyation, an award-winning content marketing agency in Sydney. Terry Quinn was editor of the Edinburgh Evening News and Scotland’s national newspaper the Daily Record, and editorial director of two major newspaper companies in Britain and the US. In New Zealand, he was Publisher of the Sunday Star Times and Sunday News before becoming Editor-in-Chief of APN in Australia and NZ. An inductee of the UK Newspaper Hall of Fame and founding committee member of the World Editors Forum, he is now retired from newspapers. His first novel The Scoop, was published by Simon & Schuster in 2018. His second, If It Bleeds, is due out in 2019. Maramena Roderick is a multi-award winning journalist, director and producer with more than 30 years in print and television. She has worked overseas as a foreign correspondent, covering everything from politics and sports to war zones. She has taught journalism in news and feature writing, and trained new directors in visual storytelling. Maramena was the head of news and current affairs for Maori Television, steering the newsroom into the digital era. She has served on national advisory panels, owns her own production house and has been a nominee in the Women of Influence awards. Neil Sanderson is a digital publishing consultant in Auckland. After many years as a reporter, editor and journalism teacher for print, radio and television, he began building websites in the late 1990s. He has led award-winning digital newsrooms at NZ Herald and the Toronto Star. Kamahl Santamaria is New Zealand journalist, who has spent the past 13 years as a news presenter at Al Jazeera English, based in Qatar. Most recently, he was the principal host of newsgrid - Al Jazeera’s interactive newshour - which was nominated for an International Emmy Award in 2018. He's also presented news bulletins, panel shows, and has reported from Zimbabwe, South Africa, The Philippines, Switzerland, France, Germany, Dubai, and the United States. Kamahl began his career at TV3 News in 1998 as a sports reporter, before moving to Australia to work for Sky News Australia. Catherine Smith is the former editor of Weekend Life in the NZ Herald, and Simply You Living, deputy editor of Simply You, and New Zealand launch editor of Houzz.com, a contributor to The Spinoff, Paperboy and Noted. Her writing includes travel, food and gastronomy, lifestyle, urban design and architecture and she has published two non-fiction books. Barry Stewart is editor of the Otago Daily Times in Dunedin, New Zealand’s oldest newspaper. Barry is also the editor-in-chief of Allied Press community newspapers including The Star, The Ensign, Mountain Scene, Central Otago News, Southern Rural Life, The Clutha Leader, The Courier (Timaru), Central Rural Life, Ashburton Courier, The News (North Canterbury), Southland Express and Oamaru Mail. Barry started his career as sports sub-editor at the ODT in 1977, moved to Sydney for five years and was deputy sports editor of The Australian newspaper before returning to the ODT in 1986. He has held a number of executive positions at the newspaper, including layout director, features editor, associate editor and deputy editor. He has led ODT special projects including the Class Act programme, and has edited and designed books and other Allied Press special publications. Matt Straker is currently the Head of Creative at Tate museum in London. In 2004, he moved to New Zealand and became the group art director for APN News & Media. His design work included the launch of the Herald on Sunday and the redesign of the Weekend Herald and the New Zealand Listener. Following this, he became creative director at AGM Publishing - a specialist in design and architecture titles - where he redesigned Urbis magazine. In 2012, he joined The Guardian as art director and set up the in-house creative studio; working across events, editorial, brand activation, guidelines and integrated campaign creative. Dr. Catherine Strong is a former journalist who now teaches and researches communication at Massey University. Alan has a career spanning 40 years in public journalism, most recently as the Editorial Director of the Australian Broadcasting Corporation. In that role, he was responsible for editorial standards and editorial training across the organisation. In a career divided between the ABC and the Special Broadcasting Service, Alan worked extensively as both a news and current affairs reporter, as a Political Editor in Canberra and as a senior news executive. He has won two Walkley Awards for television journalism. Rob Taggart recently retired from Associated Press (AP) to pick up his cameras again to take up some personal photo projects as well pursuing teaching and consulting work from his London base. Rob started his career as a cadet photographer for NZ Herald in 1970. In 1976, he moved to the UK and worked in agency and freelance photography, covering news, sports and overseas royal tours, before joining Reuters in 1985 as a photographer and photo editor. He spent nearly 10 years in Hong Kong and Singapore as Reuters Picture Editor for Asia/Pacific. In 2001, Rob returned to London to join the AP as Picture Editor for Europe, Middle East and Africa and for the later part of his career as Director of Commercial Photo Operations, EMEA. Shane Taurima (Rongomaiwahine/Ngāti Kahungunu) has spent more than 20 years working in news and current affairs. He has held a range of positions in TV, radio and digital media including reporter, presenter and producer. Shane spent 12 years in the press gallery and was General Manager of TVNZ’s Māori and Pacific Programmes. Shane is currently the Acting CE of Māori Television. Paul Thompson is the chief executive and editor-in-chief of RNZ. Previously he was the Group Executive Editor of Fairfax Media in New Zealand, editor of The Press (2001-2007) and editor of The Nelson Mail (2000-2001). Paul was a director of the Newspaper Publishers’ Association from 2007-2013. He started his career as a cadet journalist at The Gisborne Herald. Wayne Thompson’s career as a reporter and sub editor spanned 48 years, starting as a cadet reporter on the Waikato Times and later working for the NZ Herald until November 2015. He is the author of Back Country Byways, with photographer Ross White, and as a freelance writer has completed an e-book history of efforts to protect the Waitakere Ranges. Greg Treadwell has been a reporter, photographer, subeditor and editor in a career that saw him move from journalism to journalism education in 2005 when he joined Auckland University of Technology’s School of Communication Studies. He has recently submitted a doctorate on the freedom-of-information issues facing New Zealand journalists. The public right to know remains at the centre of his research interests. His current teaching specialisations are news reporting, photojournalism, and journalism law and ethics. Jim Tully is Adjunct Associate Professor with the School of Language, Social and Political Sciences at the University of Canterbury and Senior Tutor and Researcher-in-Residence at the School of Communication, Journalism and Marketing, Massey University. He joined academia in 1987 after 18 years in daily newspapers during which he was the inaugural New Zealand Journalist of the Year and held such positions as editorial manager and assistant editor of the Auckland Star and editor of the 8 O’Clock weekend newspaper. Jim received Canterbury University’s Teaching Award in 2007 and in 2011 at the Canon national media awards, the Print Industry Award for Outstanding Achievement: "In the past 25 years, Jim has inspired and shaped the futures of many of the country’s leading journalists and editors." Fran Tyler trained as a primary school teacher and subsequently worked as a reporter in community newspapers and at The Dominion and The Dominion Post. During her time at those newspapers she also worked as a sub-editor and assistant chief reporter. On leaving The Dominion Post, she worked as a media manager for the Green Party in Parliament for five years. She completed a Master of Journalism in 2016 and is currently working on a PhD in Journalism. She is also a lecturer on the Master of Journalism course at Massey University in Wellington. Lynda's reporting career has spanned 25 years, working for community and daily newspapers. Her most recent full-time role was Central Otago bureau chief for the Otago Daily Times. She is taking a break from daily news reporting but is continuing her writing career by freelancing. During a 30-year journalistic career Nick Venter covered politics, general news and sport for the Dominion Post, the Dominion, the New Zealand Press Association, the Evening Post and the Taranaki. Sadly, only one of the publications for which he wrote still exists. He now works as a contractor in Wellington. Ngahuia Wade has her own production company, Te Noni Ltd, and has made award winning programmes since 2010. Last year she also won the Best Maori Programme at the TV Awards for the iconic series Waka Huia. A Panekiretanga graduate, she is a former Press Gallery reporter and qualified lawyer. She is currently producing an observational reality series for Maori Television and a series for Radio Ngati Porou. Tina Wickliffe is a Gisborne based freelancer who specialises in producing te reo Māori content for iwi radio, digital platforms, and television. Tina has won numerous awards for her work in Māori journalism. Emily Wilson is the editor of New Scientist, the world’s No1 science and technology magazine. Previously she was a long-time staffer at the Guardian, where her roles included two years as editor in chief of Guardian Australia, based in Sydney. Sonya Wilson was a broadcast journalist for nearly two decades. She has reported for Breakfast, One News, 20/20 and the Sunday programme both nationally and internationally, and was the presenter of the 20/20 programme on TV2. She has a Bachelor in Broadcast Communications and a Masters in Creative Writing. She is currently writing her first novel, hosting festival panels of various kinds and helping out at the film and television post-production company she co-owns with her husband. She lives in Auckland, where she is growing two young boys, an elderly Burmese cat and an avocado tree. Gilbert has held senior roles in the media and the communications sector. For the New Zealand Herald and Metro, he worked as a senior writer, arts and books editor and travel editor. His work has been recognised by multiple awards, including the New Zealand newspaper feature writer and magazine feature writer of the year and as a Fulbright Journalism Fellow. In recent years, he has led the communications teams at the Human Rights Commission and the Auckland District Health Board. Gilbert believes that it is always possible to write clearer, sharper and smarter.